The people of Hanoi have one of the most interesting morning rituals I have ever seen. It is not an ancient ceremony steeped in tradition. It is not a solemn and touching procession like the parade of monks in Luang Prabang. There is no religious significance, and yet it is a ritual adhered to as tightly as a devout practitioner’s weekly worship. It would make Jane Fonda proud, and I am not referring to her political activism in Vietnam. I am talking about her leg-warmer phase. 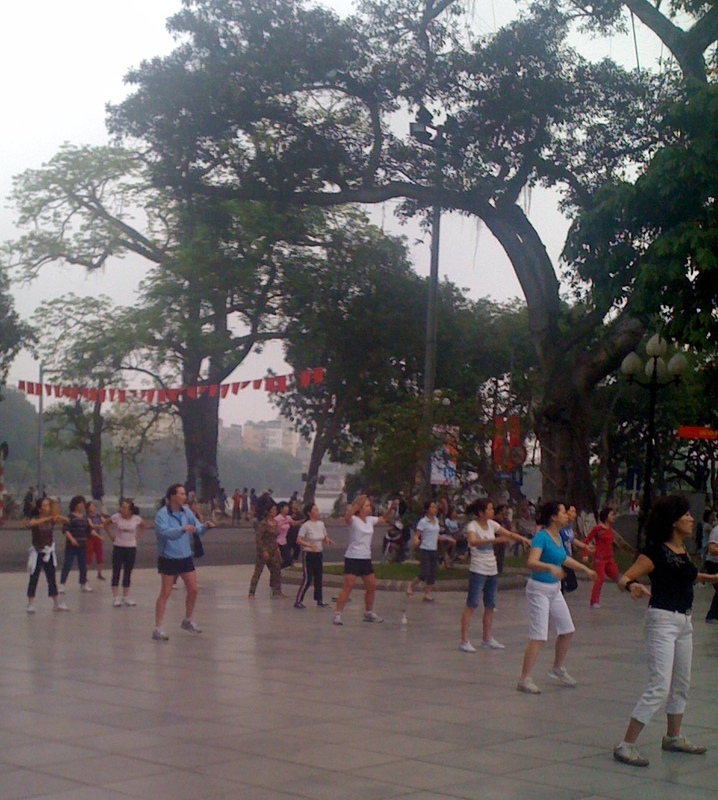 Every morning, Hanoi channels the Jane Fonda Workout and gets its collective booty moving. The center of the action is Hoan Kiem Lake. Hoan Kiem is a small, tree-lined lake in the heart of Hanoi, hard by the city’s bustling Old Quarter. The Lake is apparently home to large tortoises, some purported to be hundreds of years old (but as with the monkeys in Laos, I saw nothing). In addition to being a quiet, meditative oasis in the midst of the city’s cacophony of sounds, the Lake also has mystical significance; it is the setting for the Legend of the Recovered Sword. Back in the 15th century, the gods (more specifically, the Turtle God, by some accounts) gave King Le Loi (a.k.a. Le Thai To) a magical sword to fight the Chinese. After driving out the Ming invaders, the king was boating in the lake when a giant tortoise rose out of the water, grabbed the sword and returned it to the gods, bringing peace to the kingdom. Kind of like an episode of Teenage Mutant Ninja Turtles, but with senior citizen tortoises. The King defeats the Ming and the reptile retires the weapon. Supposedly, the descendants of the famed turtle still live in the lake, and passers-by routinely pause to see if they can find one. Other than magical-tortoise spotting, the lake is also a good place for people watching. The peak time for this is early in the morning, around 6 AM, when Hoan Kiem Lake looks more like Lifetime Fitness or New York Sports Club. Hundreds upon hundreds of people, all doing their morning exercises in the park that surrounds the lake. The most popular activity, by far, is badminton. Yes, you read that correctly, badminton. In the US, most badminton sets, after getting heavy use for about 3 weeks back in the summer of 1978, have been relegated to the back of the garage and appear only occasionally at yard sales. 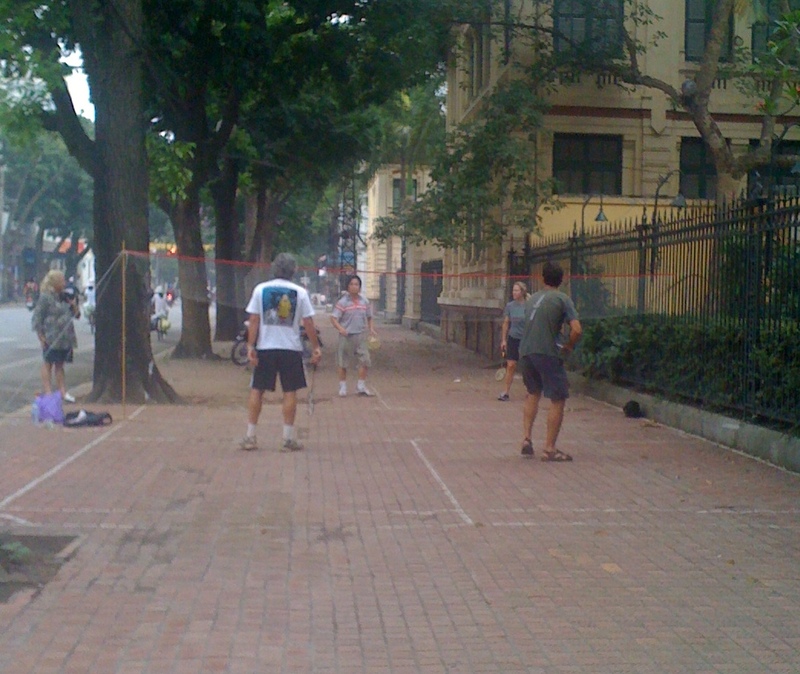 But in Vietnam, badminton is huge. Every morning, possibly hundreds of sets pop up all over Hanoi. Singles, doubles, mixed doubles, the sidewalks are jammed with people playing badminton. Some are fiercely competitive, most simply seem to be having a good time. The peak time is 6-7AM. By 7:30 the nets are rolled up and the sidewalks are clear; everyone has gone home to start their day. So these people get up an hour early just to play badminton. Go figure. For those who want to get their morning exercise but prefer to take a pass on badminton, there is the very popular Vietnamese aerobics class. There are probably upwards of 50 women grooving to something that sounds like the Six Flags Amusement Park theme-song. The routine is presumably the same day after day, because as the count progresses – nam, sau, bay, tam – everyone switches to the next bit of choreography. It is mostly arm waving and hip shaking, small repetitive motions, set to remarkably bad music, for an hour. You can pay to join in the class in the park, or you can stand across the street and follow along for free. I wasnt sure if people stayed across the street because they didn’t want to pay or because the thought of crossing the street in Hanoi scares the ever-living-daylights out of them, as it does me. Of course, if you want to pass on the badminton and aerobics is not your thing, you can always join in the ballroom dancing or Tai Chi. And those are just the activities in the park across from the lake. Assuming you have had some coffee and are alert enough to attempt a street crossing, you can proceed around the lake to see the full range of fitness options available. It is somewhat akin to taking a tour of a large health club. There is a cardio area for people who want to jog in place or jump up and down or simply wave their arms in the air – all of which, apparently, are very popular activities here in Hanoi. There are numerous benches for doing sit ups or dips. Further along we have the weight room, my personal favorite. Every morning, several muscle-head dudes drag out a full array of weight lifting equipment – barbells, benches, the full works. They drag it all out, set it up, and by 7:30, it is all packed away again until the next day. It is worth noting that the barbells have concrete disks as weights, sure to inflict some serious toe damage if dropped. The weight room set-up and break-down process must take at least a half hour, but as any serious muscle-head knows, it is worth the time. As you continue around the lake, you will find a Senior Aerobics class (“Just as great a workout, but at a slower pace, for our Silver Sneakers members”). There are several groups doing Tai Chi, as well as a few activities I have never seen before. One involved a choreographed dance with some fans, the other involved what appeared to be ping pong paddles and a ball. There is a group exercise class for every interest and ability. And for those who prefer to do their own workout, there is plenty of space for other activities. 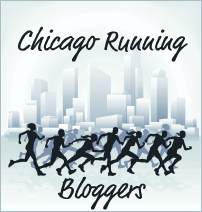 There are joggers, the occasional cyclist, hundreds of walkers, and everywhere you look, there are people hopping up and down and waving their arms in circles. Click here for a video giving a nice overview of what you see walking around Hoan Kiem. As with any good gym, there is place to weigh yourself: every morning, a woman brings a scale and charges a small fee for you to step on and track your progress. But you need to be there early, she and the scale are gone by 7. It was remarkable seeing so many people gathered in one place at a very specific time doing such a broad range of exercise activities. We asked our Vietnamese guide, Mr Tuan, what the deal was. Is it some sort of government initiative? He said that it all goes back to Ho Chi Minh, Great Uncle Ho. Uncle Ho said that it was important for everyone to exercise every day, to keep the body strong. He encouraged his people to exercise each and every morning, and even a generation later, they still take it to heart. Of course, it is somewhat ironic that this health-wise advice was dished out by a three-pack-a-day chain smoker who purportedly died of heart failure. By 7:30 AM, the frenzy is over. Aerobics is finished, the ballroom dancers are wrapping up, Tai Chi is winding down. The weight lifters have put the benches and concrete barbells back in storage, the badminton nets have been rolled up and stashed until the next day. The last of the joggers are making their way back home, the jump-in-place-and-wave-your-hands-around-like-crazy people have gone back to looking like normal individuals out for a stroll. The badminton court lines on the sidewalk are the only remaining evidence that the vast outdoor health club exists. Until early the next day, when it starts all over again. 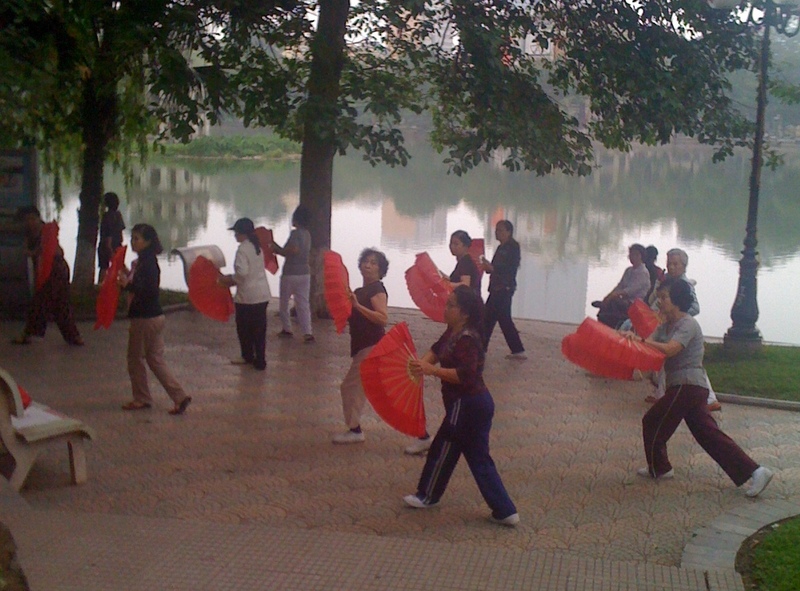 By mid-morning, Hoan Kiem is just a lovely lake in the center of the city, not a magnet for an exercise craze. One night, however, we saw an older man with a walking stick parading around the lake in the dark. He was stark naked. He stopped to do a little dance. 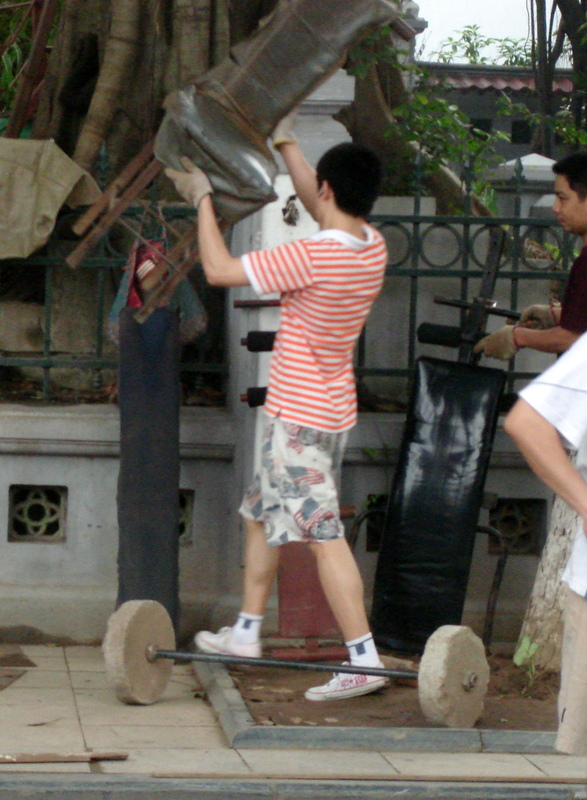 Apparently everyone comes to Hoan Kiem to exercise, even the mentally unstable. Clothing optional. So I guess you and Matt are on the “no” list for badminton at our house. Only if we do it at 6 AM after our Vietnamese Aeorbics warm-up. Or 6PM with cocktails. Either one is fine, actually.